Murat Aydemir was born on October 23, 1971 in Hanover, Germany. In 1982, he started his studies at Istanbul Technical University Turkish Music Government Conservatory. 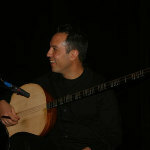 During his studies at the Conservatory, which lasted for ten years, he studied tanbur with Necip Guelses and in 1992 he graduated from Instrument Education department. .
During 1989, he was a member of Cultural Ministry's Istanbul Government Classical Turkish Music Ensemble as a guest musician, whose general artistic director was Dr. Necdet Yasar. He had opportunities to perform in concerts with masters of Turkish music such as Bekir Sidki Sezgin, Alaeddin Yavasca, Inci Cayirli, Erol Deran, Ihsan Ozgen, Cinucen Tanrikorur and Necdet Yasar. Aydemir recorded "Ahenk, Volume 1" (1977) and "Ahenk, Volume 2" (2007), collection of instrumental compositions and improvisations with Derya Tuerkan (kemence) for Golden Horn Records in the United States. Subsequently, Kalan released these albums in Turkey. Duo performed during a nationwide concert tour with eight concerts in Germany in 2003 and with seven concerts in the state of California in the United States during September 2005. In 2002, Aydemir recorded another duo album, "Neva" which was released in Turkey by Kaf Muezik in Turkey and later Golden Horn Records for worldwide release. In this recording, he was joined by ney (reed flute) player Salih Bilgin. Duo performed three concerts at Smithsonian Institute in Washington DC as part of museum's exhibition on Ottoman costumes. In 2009, Aydemir performed again at the Smithsonian Institute with Neva Oezgen and Lux Musica Ensemble, presenting works by Cantemir. Aydemir is also a member of Cantemir Ensemble, which was formed in 1999. Next year, this ensemble recorded two albums to accompany Prof. Dr. Yalcin Tura's translation of "Kantemiroglu Edvari", published by Yapi Kredi Culture and Art Publications in Turkey. Aydemir performed in concerts, seminars and symposiums with the Cantemir Ensemble. "Mizrabin Nefesi" is another group that Murat Aydemir is a member of which gave its first public performance in 2003. Kalan released group's debut album in 2007. Since 1997, he has been working with Incesaz, a group that was founded by Cengiz Onural, Derya Tuerkan and Murat Aydemir. Incesaz's seven released albums include "Eski Nisan (Aged April)", "Ikinci Bahar (Second Spring)", "Eyluel Sarkilari (September Songs)", "Istanbul'a Dair (About Istanbul)", "Mazi Kalbimde (Cherishing Bygone Days)", "Elif" and "Kalbimdeki Deniz (Sea In My Heart)". Aydemir's music and compositions also accompany many TV series and documentaries. Incesaz performs many of Murat Aydemir's compositions in these recordings. 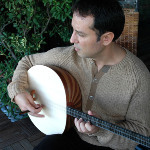 Aydemir also plays lavta, another stringed instrument. His solo tanbur album was released in 2008 in Turkey by Kalan. 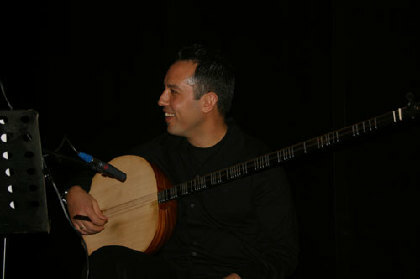 Since 1990, Aydemir has been a member of Cultural Ministry's Istanbul Government Classical Turkish Music Chorus as a tanbur player. He has performed in many concerts in Turkey and abroad with this group. In 2004, Aydemir married Esra Ertuere and currently resides in Istanbul.